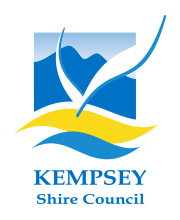 ”Parrabel Park” is a 220 acre property located 43 kilometres west of Kempsey in the beautiful Macleay Valley. It is a beef cattle property surrounded by scenic hills. Accommodation is a cosy, fully self-contained two bedroom timber cottage, overlooking the creek with tranquil and private surrounds. Explore the creek which meanders through the property or maybe go fishing in the dam. Have a picnic under a shady tree and watch the cows, explore the property and discover the native wildlife or just relax on the veranda.